The 34th District is successor to the traditional State Senate seat for Fairfax and Loudoun counties. It was a rural seat for many years, while Fairfax and Loudoun were dominated by dairy farms. 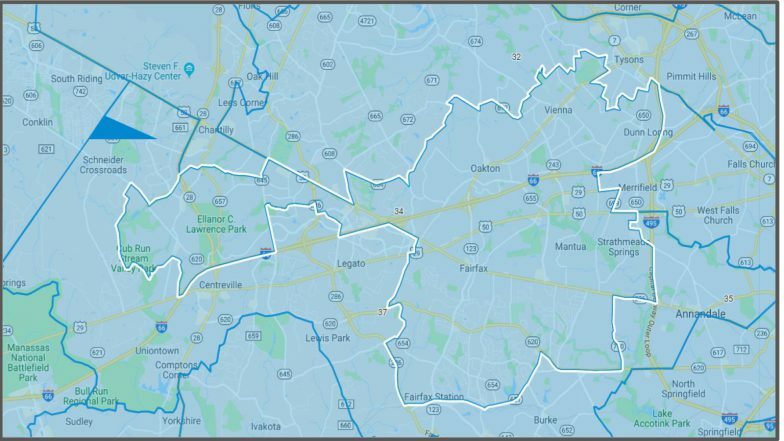 You can see election results and the 34th District profile on the Virginia Public Access Project (VPAP.com) or by clicking this link. A detailed Google Map of the 34th District can be found here. Chap Petersen has run in 6 races for public office, winning 5 of them. The candidate has raised a total of $3,901,897. My name is Adia McLaughlin. I am the lead curator for this VA Senate District 34 post. If you have any content you would like to add to this post, submit it to me at amclaug8@masonlive.gmu.edu.